Earlier this month my guy Q-Ball over at the Old School Scholar blog wanted me to set off his 7 Questions Of Culture series, and of course I dropped the usual jewelry for him and his loyal Hip Hop lovin’ readers. When you’re done here, scoot on over there and see what it is. And while you’re at it, check out their latest Old School Hip Hop Mega Mix, either down below here or over there. This entry was posted in interviews, phill most chill, soulman, video, youtube. Bookmark the permalink. Hello to all my Realschitters… well, however many of y’all who are still checkin’ in here at the blog that was declared dead months ago, THAT REAL SCHITT. It’s actually not dead, I’ve just been busy beyond words. Renovating the crib, doing my part to get the Phill Most Chill “All Cuts Recorded Raw” limited edition LP done with my dudes over at DWG, etc. etc. No time for bloggery these past few months… STILL really no time for it, to be honest. But I was inspired to stop what I’ve been doing to rock this long overdue post, so here it is. I was supposed to do this Real Schitt installment featuring my homeboy and one of the best producers on earth IMHO, Jorun Bombay, for probably like a year or maybe even two years (I’m senile- I really have no idea how long it’s been other than TOO long). Never got around to it- had to get other schitt out of the way first. The other day I said to myself, “self, you better hook up the Jorun post before you have a stroke or suffer some other debilitating malady that old people sometimes fall victim to”. Word ’em up. 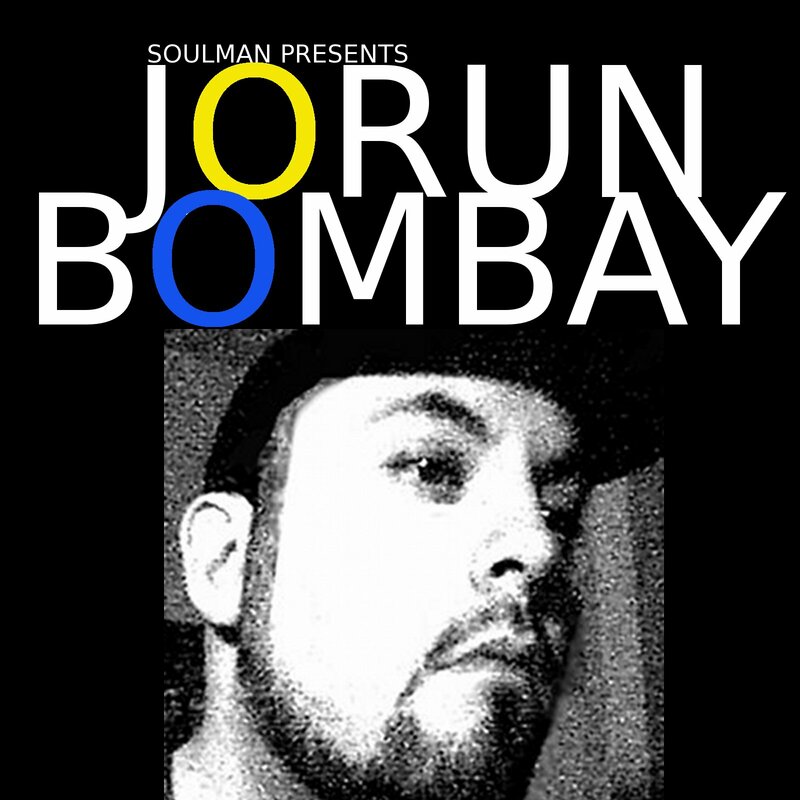 For those who ain’t familiar, Jorun hails from Halifax, Nova Scotia and is a full fledged master of the beats. We go back to my early days at Rap Sheet; Jo used to send me letters and his beat tapes and records and the whole nine. At that time I had no idea if Nova Scotia was in Canada, Iceland, Sweden or Wyoming (it’s in Canada) but I knew that this dude was serious about this beat schitt. My man even had the Baritone Tiplove 12″ so you know we hit it off. To make a long story short(er), fast forward to today. 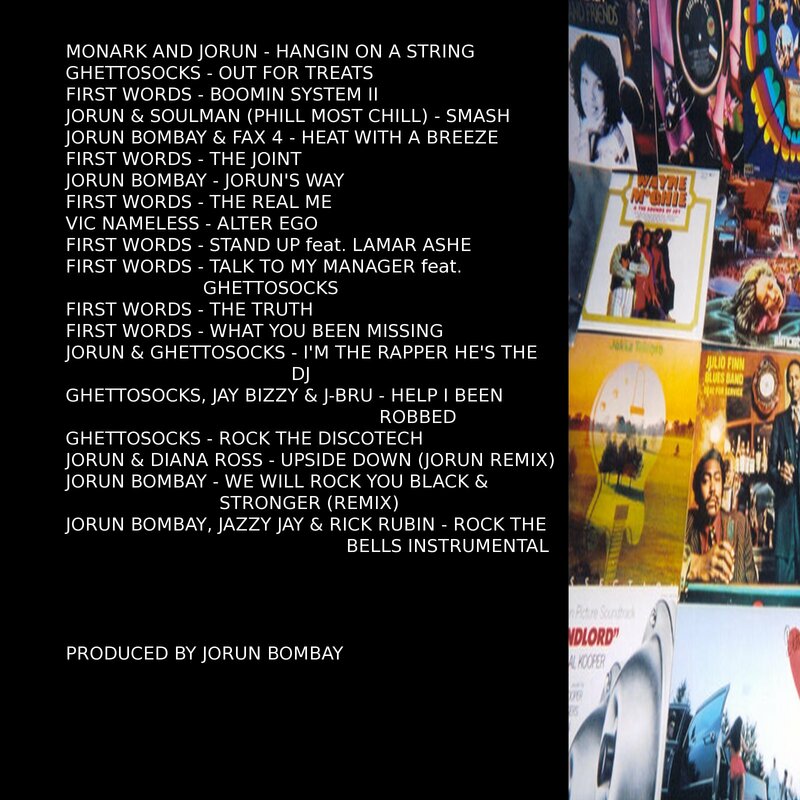 As I said earlier IMHO Jorun is one of the best producers out there when it comes to real schitt Hip Hop. Creativity, sound quality, dope breaks… my kind of music, no doubt. So a while ago I asked Jo to send me some of his work so I could erect a real schitt statue in his honor on my blog, and he did. I listened through all the music, thought it was dope, then inadvertently pushed it to the side due to about a million things coming at me from all angles of my life (I have SO much great music that people have sent me just sitting in a pile, having been listened to only once because I haven’t had a chance to get back to it.. such is the life of a Soulman). Not a typo- you read that last one correctly. An instrumental for the LL Cool J sureshot from 1985. This is the kind of thing that Jorun Bombay does- no instrumental available for a classic rap joint? He just remakes the schitt himself. With stunning attention to detail- I never would have known that this instro was totally remade from scratch. Now you tell me, what’s f–kin’ with that? Maybe YOU know what’s f–kin’ with that, me I’m not so lucky. What I am, though, is very impressed. So if you are also impressed (and if you’re the type of person who would even venture to this blogsite I think you should be), feel free to click the link down below and download all nineteen tracks produced by Haltown’s living legend. Thanks for the hook up, Jo (and sorry for the long delay). 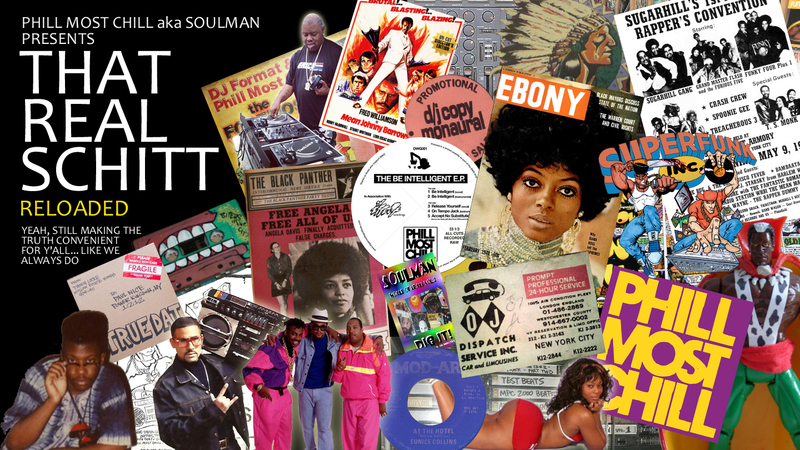 This entry was posted in hip hop beats, new rap schitt, phill most chill, real schitt, remixes, soulman, video, youtube. Bookmark the permalink.